Lowdown: A retired veteran assuming an intern position helps sort out a modern startup run by a young woman. 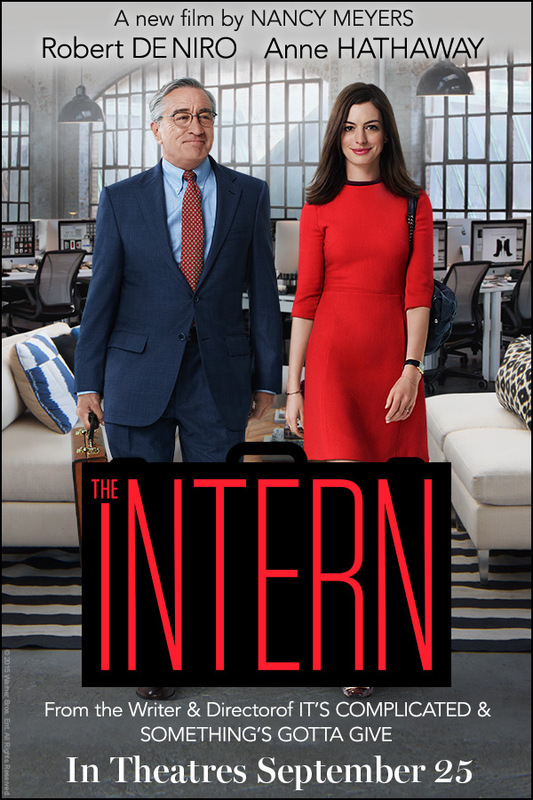 Whichever way I look at it, and no matter how much I thought Robert De Niro shines in his role, I keep coming back to the conclusion The Intern is a movie that basically says a woman cannot succeed without a man by her side. Rather surprising, given this is a movie made by Nancy Meyers and starring Anne Hathaway. Generally speaking, affairs work the normal Meyers way. You won't blow your stomach away with laughter, but you won't be bored either. Which serves mostly to support De Niro's performance standing out. Overall: Easy entertainment with some noticeable issues. 2.5 out of 5 crabs.